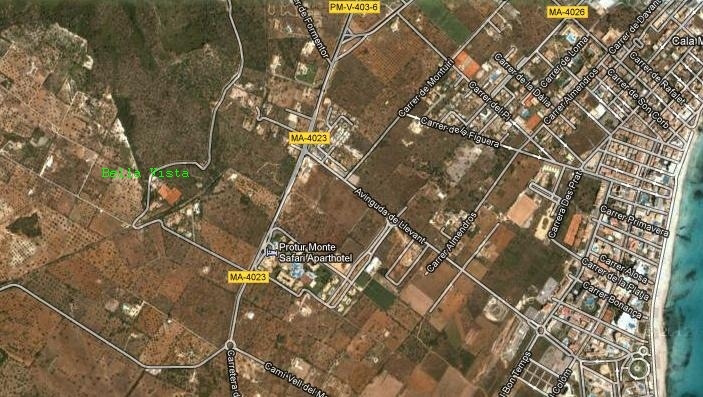 Behind Son Servera you drive on the roundabout in the direction of Porto Cristo (MA-4023). On the left side you already can see the skyline of Cala Millor. After a few minutes, the Aparthotel Monte Safari is also on the left. Just opposite it goes right to Tennis Bella Vista. The tennis courts are all the year open .